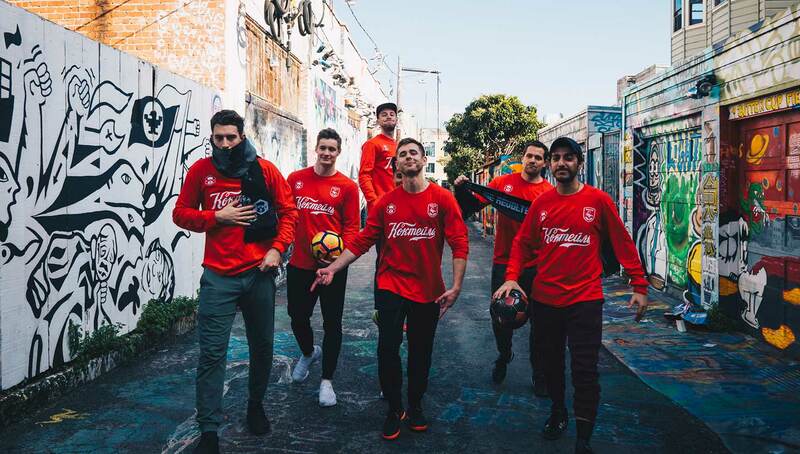 Already established in multiple major metropolitan areas in the world, Guerrilla FC has recently extended its roots to San Francisco, and looks to introduce the Bay Area to a brand of football that encourages unbridled creativity, ostentatious moves, and of course, dope throwback kits. The only question now is, which city is next? 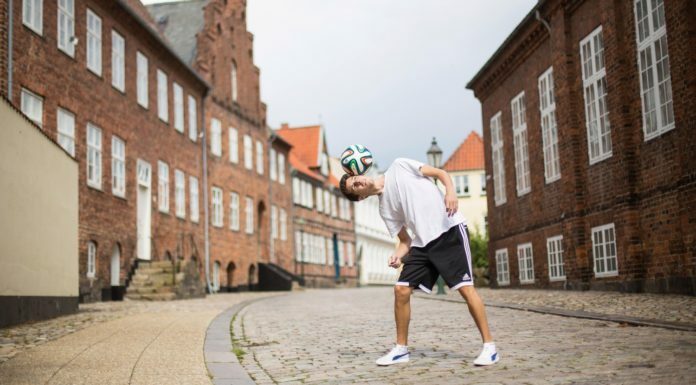 An obsession with football will alter the way you see the world. Need proof? 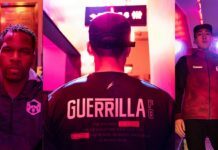 Meet Guerrilla FC. 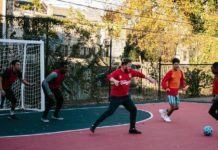 The grassroots collective of footballing brains inverts what it means for art to mirror life, extending their pitch-level instincts of finding and using space beyond the chalk rectangle of the world’s green playgrounds. While the wall-to-wall Premier League coverage and Christian Pulisic’s $73 million deal with Chelsea have started to populate the American landscape with mainstream support, Guerrilla FC still sees passing lanes — promising and unexplored avenues between the lines that could truly transform the States into a footballer’s paradise. And like any hungry striker, they are striding into those spaces to create opportunity for like-minded dreamers and creators whose ingenuity reigns on and off the pitch. Their latest carefully-chosen run sees them filling space left by a streaking tech wave. The north-most tip of California’s famed peninsula was once both a haven for the bohemian and the buzzing anti-metropolis birthplace of artists and activists. Since then, the glimmer in the eyes of creatives has been replaced by the soft fluorescent glow of smartphones. 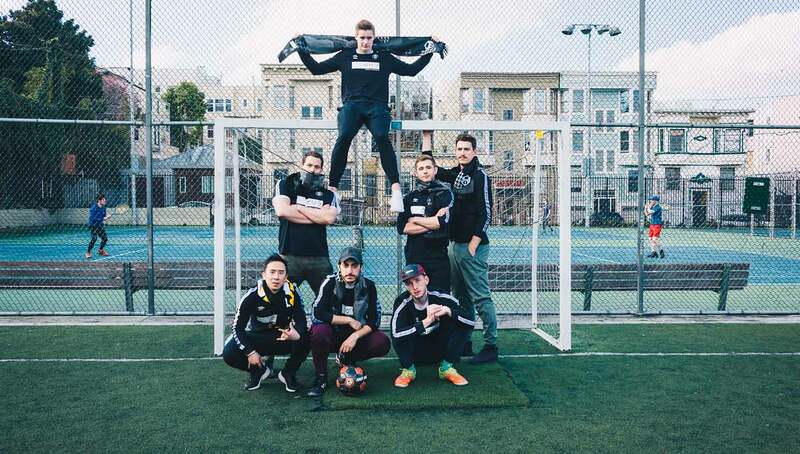 Guerrilla FC has come to San Francisco to get people to look up, to see the space, and to run towards it — to create community around football and all the beauty that comes with it. Allow us to introduce you. There’s a thrilling and unparalleled aura associated with finding out that someone shares your obscure infatuation. This feeling of belonging is at the heart of what Guerrilla FC offers to those who seek it. 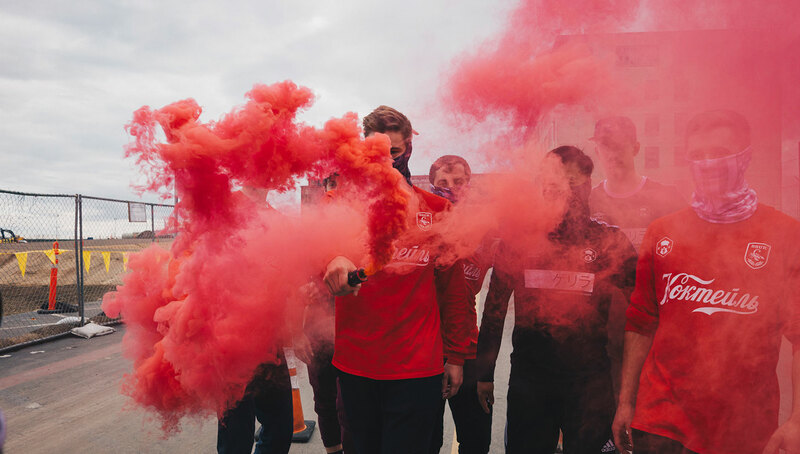 By giving a voice to American soccer fanaticism, their aim is to abolish the quiet loneliness once intertwined with loving footy in the U.S. And now they’re making noise on both coasts. 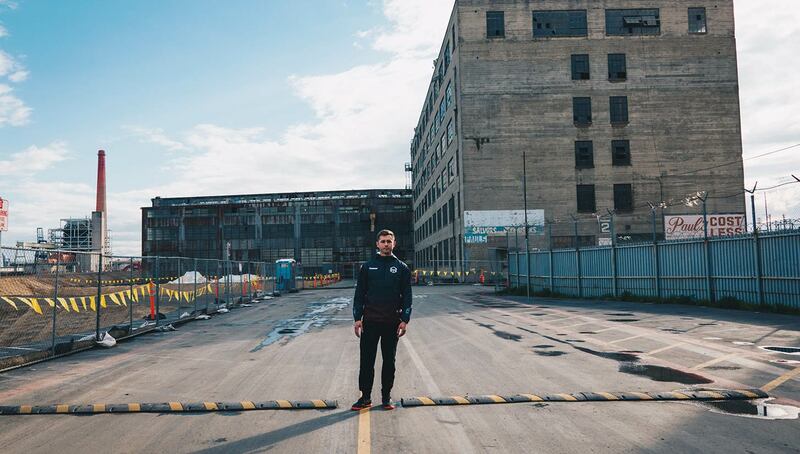 Guerrilla FC’s D.C. origin offers a blueprint for success in the Bay Area. 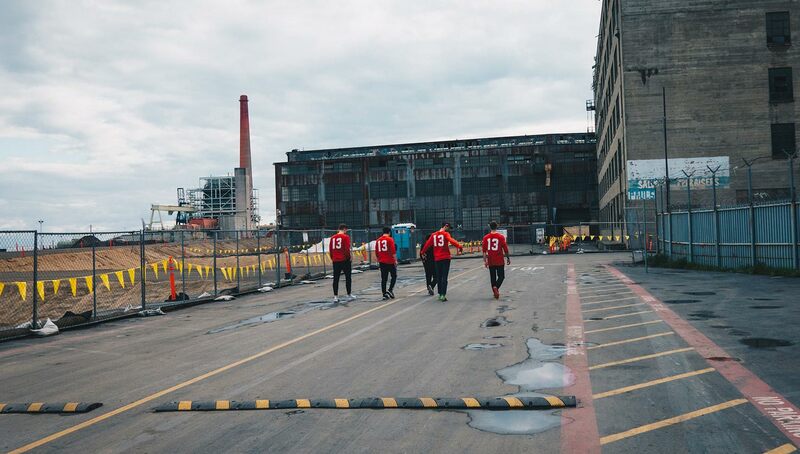 Like their East Coast predecessors, building a community starts by establishing a team, a core group of footballers engrossed in the game and the culture that comes alongside it — fashion, style, music, and art. This means postponing the construction of a trophy-production factory and building a lighthouse in its place, a Bat Signal in the sky for those who breathe football and see art in the beautiful game. In the nation’s capital, Guerrilla FC’s side has gained serious traction this way. 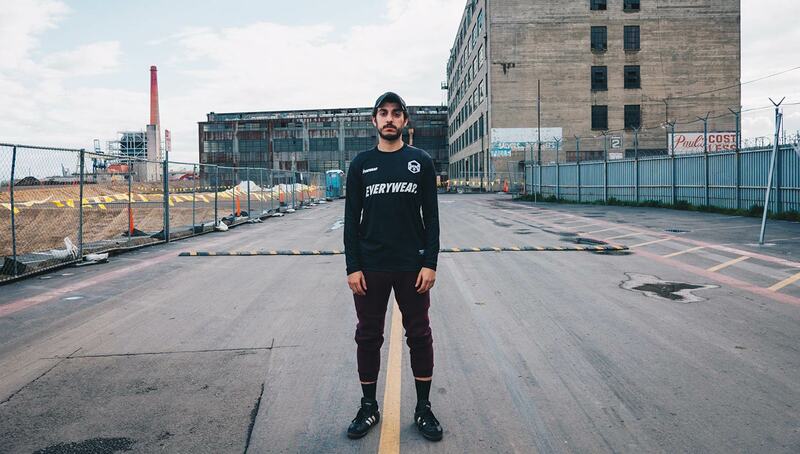 Once a staple of games around the city, they now host their own with widely attended, weekly pick-ups speckled with throwback kits and en vogue streetwear brands. 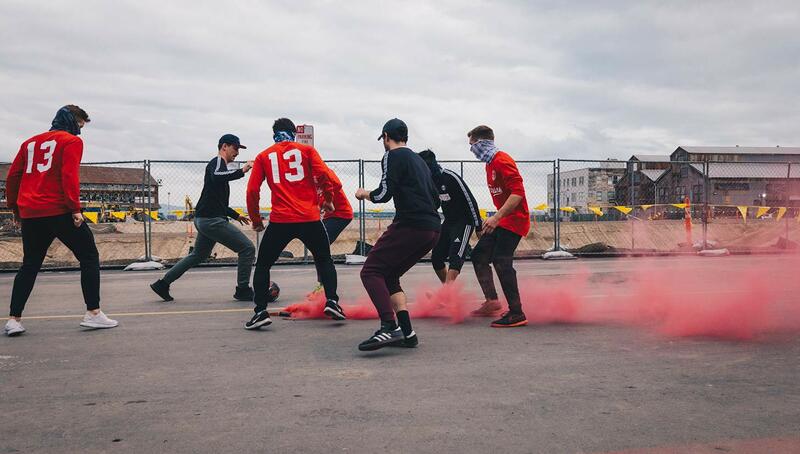 The West Coast cell has similar ambition — rally the lovers of football’s culture together and nurture that community with events, both footballing and otherwise. 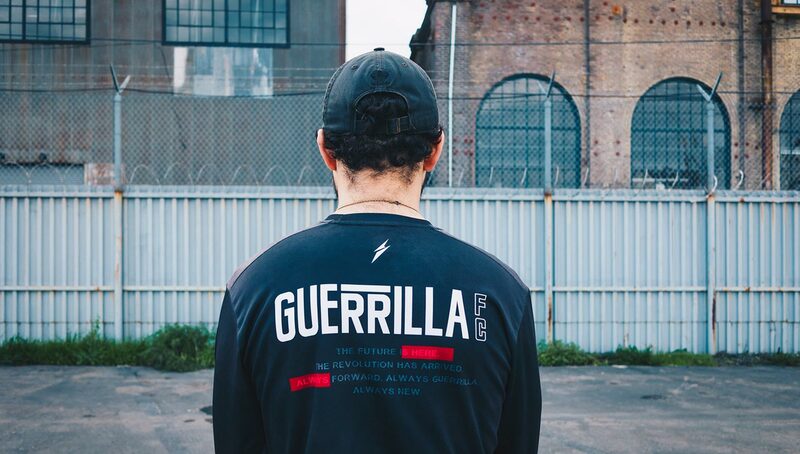 After all, Guerrilla FC isn’t simply a football club or a streetwear brand. It’s a revolution. 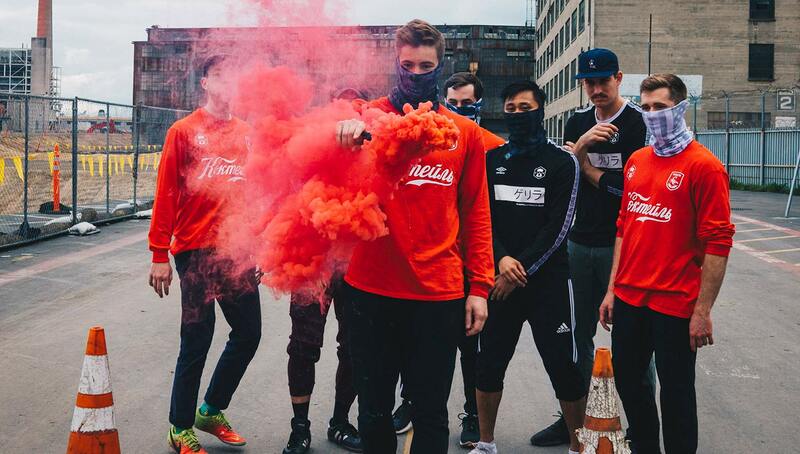 As much fashion club as football club, Guerrilla FC’s SF squad is unmistakable when they take the pitch. Their collaboration with streetwear royalty SSUR oozes with urban flair, and their black kits offer the opportunity for a knee-high splash of pink to bring the look to life. Catch them before or after a game and the story is the same — iconic kits of yore are a staple of the team’s off-pitch wardrobe. 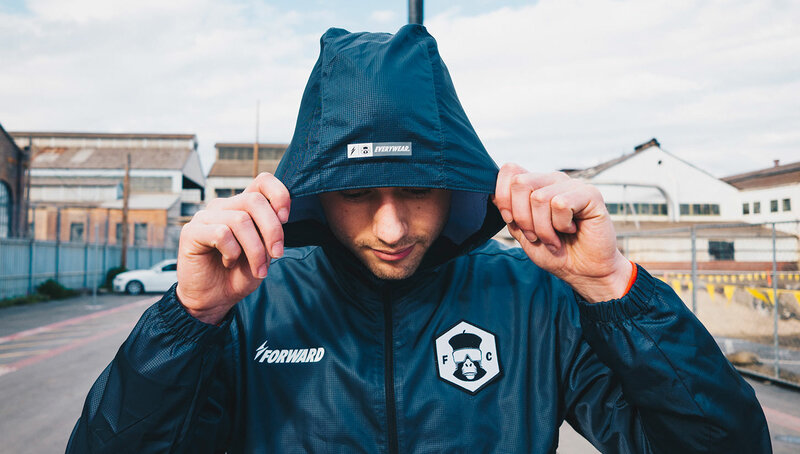 Although the adage “look good, play good” certainly applies, Guerrilla FC’s commitment to fashion is more about embodying and promoting the way that football influences life. 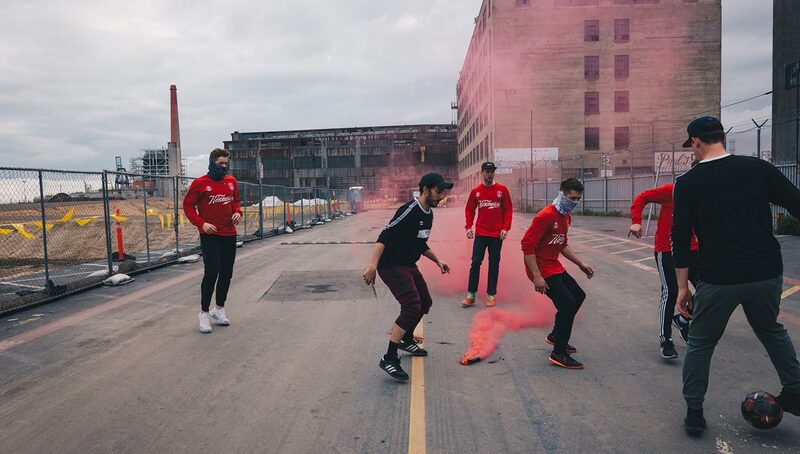 In working with streetwear brands and rocking stylish threads, they encourage players to ask themselves the question, “How do football and fashion influence one another?” Those who find intrigue in that question — as well as those who have long considered it — have found their community. 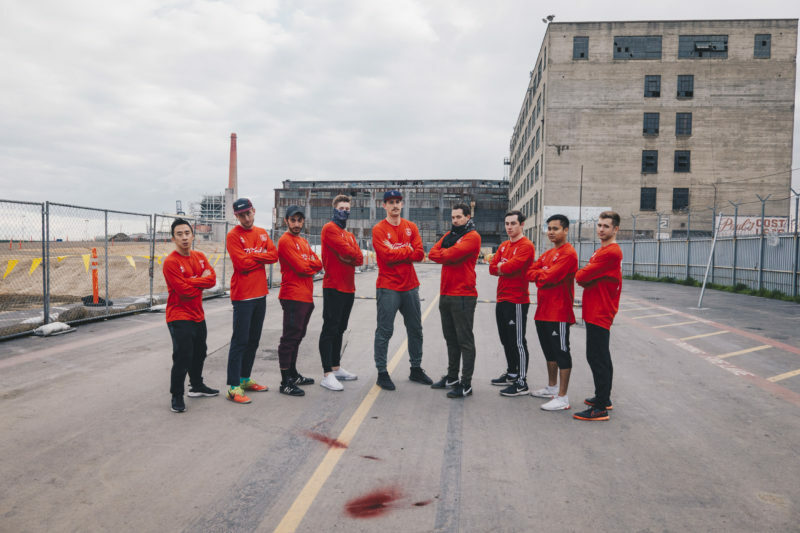 Guerrilla FC is taking its first footballing footsteps in San Francisco at Spark Social, a competitive 6v6 league in the industrial Mission Bay neighborhood. The demi-pitches and square goals are reminiscent of the street game, and the traditional evening moisture grooms the turf for fast-paced football. Conversations with referees, or between adversaries, are rarely tepid, and players talk tactics before games or hurriedly at the break. Teams come to play beautifully, to play with their mates — and they play to win. Competition should not be mistaken for contempt, however, as teams embrace and banter once the final whistle has gone. The winter time means matches are played, rain or shine, under floodlights, the sideline always littered with coats carrying the crests of European giants. For a couple hours a night, football is alive. But for Guerrilla FC, a couple hours a night just won’t cut it. 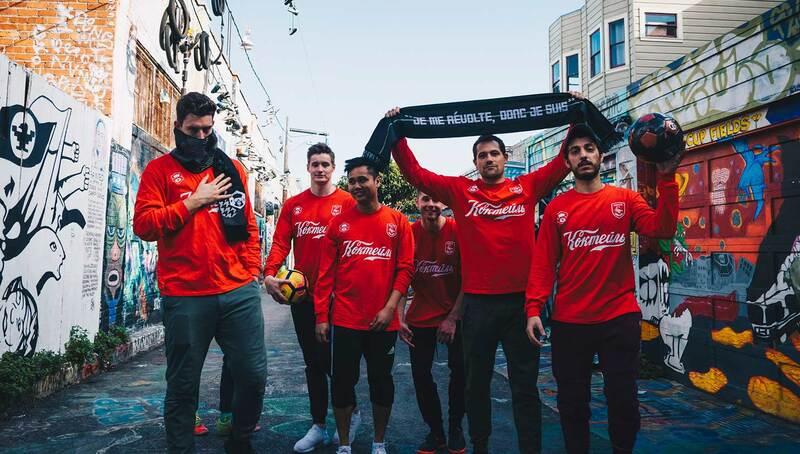 The takeover of San Francisco is still in its infancy, but Guerrilla FC’s steady expansion over the past two-plus years begs the question of where they’re headed next. The FC has stated that they are in no rush to move on to new cities, and that their international presence is one of happenstance and not deliberate. 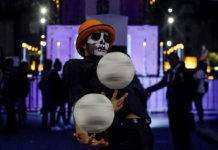 However, the rest of the U.S. is up for grabs, and we won’t be surprised if a Guerrilla faction pops up in a new metro area by the end of the year. While we’re unsure of where the revolution will hit next, you can follow the FC’s moves by subscribing to their mailing list. In the meantime, keep your eyes peeled for space and run toward it when it appears — Guerrilla FC is probably already there waiting for you. 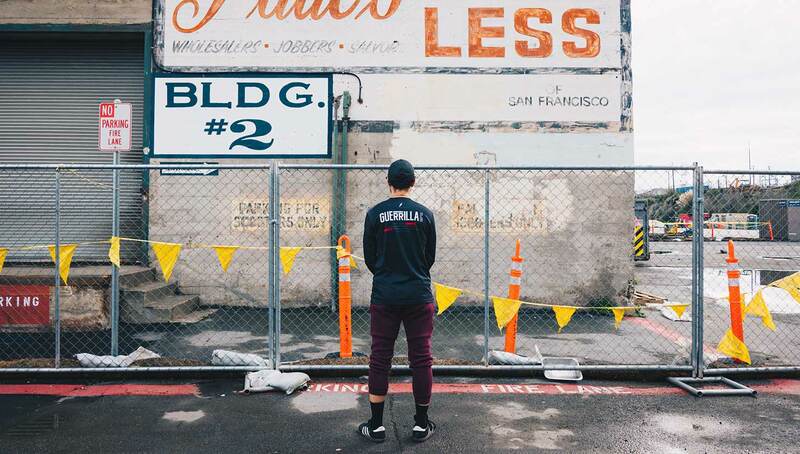 Looks like Guerrilla FC has figured out how to make “the parking lot” paradise…not the end of SF street soccer after all.